Time Attendance systems are imperative for all businesses, whether you operate an office of 100 or own a SMB of 25 users. The system is one of the best ways to ensure productivity of your staff in your business. But why should you choose to have a Time Attendance System installed? Aren’t they expensive and complicated to operate? Here are some things you should know about this Systems, which should hopefully clear your doubts and convince you to get one installed in your business today. What is Time Attendance System? Time and Attendance is an area of workforce management that collects data of when employees start and stop their work days, and the department where their work takes place. This is done through a system that collects the data automatically through the use of many different types of time and attendance equipment’s. Time and Attendance allows management to know who is present or absent for their shifts, and is necessary for collecting information for payroll. RFID Identification: RFID uses an electronic chip. It refers to small electronic devices that consist of a small chip and an antenna. The chip typically is capable of carrying 2000 bytes of data or less. Fingerprint Identification: It is probably the most common type of biometric time and attendance device, simply because they are easy to use and are generally quite accurate (reputed 99% accuracy). Retina Identification: It uses a technology that captures an image of eye patterns in order to compare them to previously recorded images. 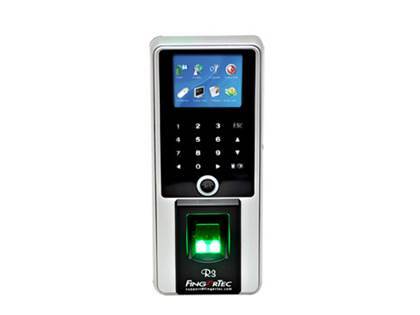 These systems are also quite accurate for time and attendance, however they can be harder to find, as fingerprint scanners are usually more common. Face Detection: Face recognition has distinct advantages because of its non-contact process. Face images can be captured from a distance without touching the person being identified, and the identification does not require interacting with the person. Reasons why Time Attendance Solution is important to your Business? Automated time and attendance systems reduce the risk for error that is more prominent in manual systems and businesses that do not use a time and attendance system. Management can monitor employee clock-in and clock-out times, break times, shift changes and more. This means that it will be harder for employees to commit acts of time theft such as overextending break times, time card fraud and buddy punching. You can choose everything from swipe card systems to biometric devices. So depending on your company’s budget, the number of employees you manage and the size of your physical workplace, you are guaranteed to find a time and attendance system that works for your business. It enables an employer to have full control of all employees working hours. It helps control labor costs by reducing over-payments, which are often caused by transcription error, interpretation error and intentional error. A time and attendance system protects a company from payroll fraud and provides both employer and employees with confidence in the accuracy of their wage payments all while improving productivity. We are the leading supplier of FingerTec Time Attendance systems and time tracking for small to medium-sized businesses. Delivering complete solutions featuring time and attendance software and a biometric devices. Our Biometric Systems do not keep an image of the fingerprint but a template. A template is basically a number that is calculated based on various characteristics of the fingerprint. Such an approach is desirable so that unauthorized persons may not sneak in unauthorized images of finger print in the database. Our systems allow for dry, greasy, chaffed and minor cuts on the fingers. We also provide Time and attendance software through cloud-based software as a service (SaaS) hosted solutions. Web-based solutions offer a number of advantages to organizations of all sizes, including reduced implementation costs, fewer maintenance and support concerns, as well as instant updates and upgrades. Perfect for companies wanting an economical PC Based and feature rich Time and Attendance software and terminal solution. With these solutions your company will have an immediate ROI simply by eliminating payroll errors and avoiding the time consumed by the Accounts Department to manually calculate the Attendance. Easy to use, powerful time and attendance solution that allows you to automate your company’s timekeeping and attendance tracking. With built-in setup wizards and simplified daily operations. The Time & Attendance solutions completely eliminate paper time sheets. We Design, Supply, Implement, Upgrade, Maintain & Support the viable Time Attendance Solutions for our valued clients. We brings you the best of products in justified investment. We believe in delivering the branded and latest technology products. Our skilled and experience Installers are equipped to deliver the better services and support. Our designers ensures that you are getting the best value for your money without any compromise on product quality. Our Solutions are backed up by Technical Support & Assurance Services.